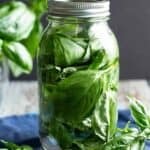 This Basil Infused Vodka is extremely easy to make and tastes and smells great. Plus, it makes an excellent addition to summery cocktails. Basil, to me, represents summertime. 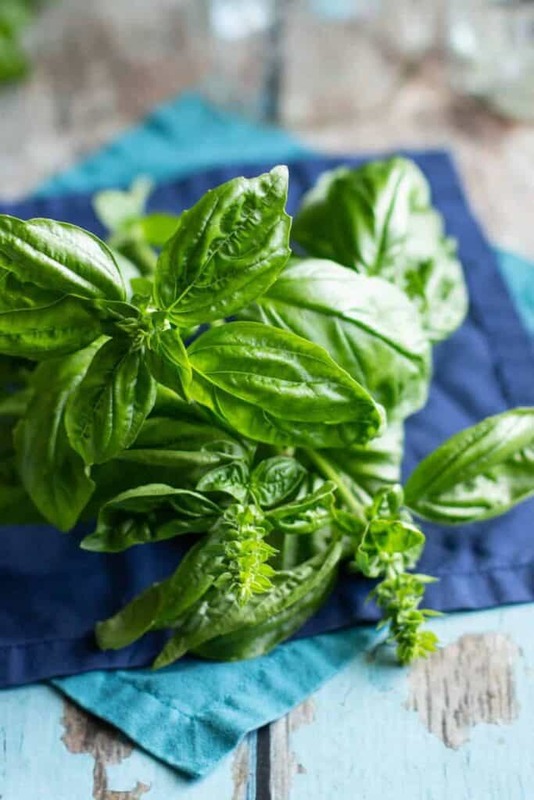 I can’t taste or smell basil without thinking about summer. Every year, I always make sure to grow lots of it. Even when I only had a 4×4 foot front stoop to work with, I made sure to have 3 plants growing in a container. This (over)abundance of basil is great, because I do a lot with it. I put it in my salads (if you haven’t tried herbs mixed in with your salad greens, you’re missing out! ), eat it on top of grilled margarita pizza, and toss it into rustic, fresh tomato sauces. And now I’m even incorporating it into my cocktails. The process for making an infused vodka couldn’t be simpler. 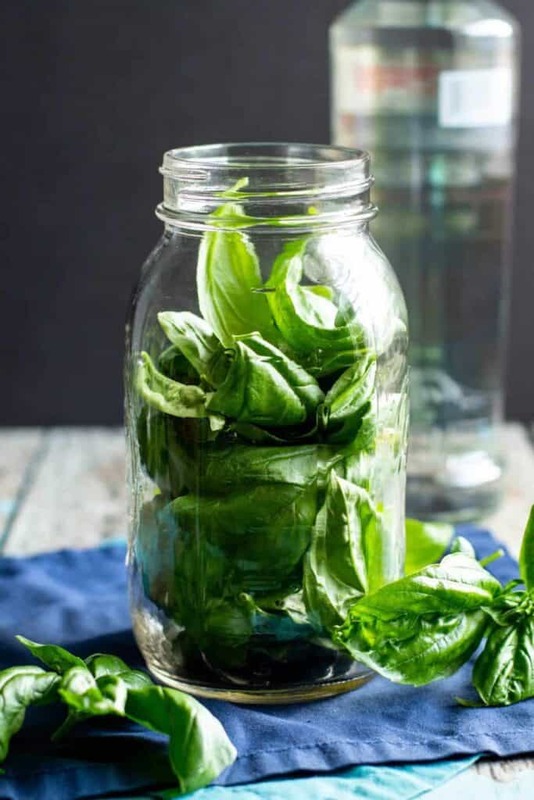 Grab a large bunch of fresh basil, stick the leaves in a mason jar (or other seal-able container), fill with plain vodka, seal the container, and walk away. You’ll want to let the container sit in a cool, dark place for up to 3 days. Feel free to taste it along the way to see if it’s where you want it to be, flavor-wise. 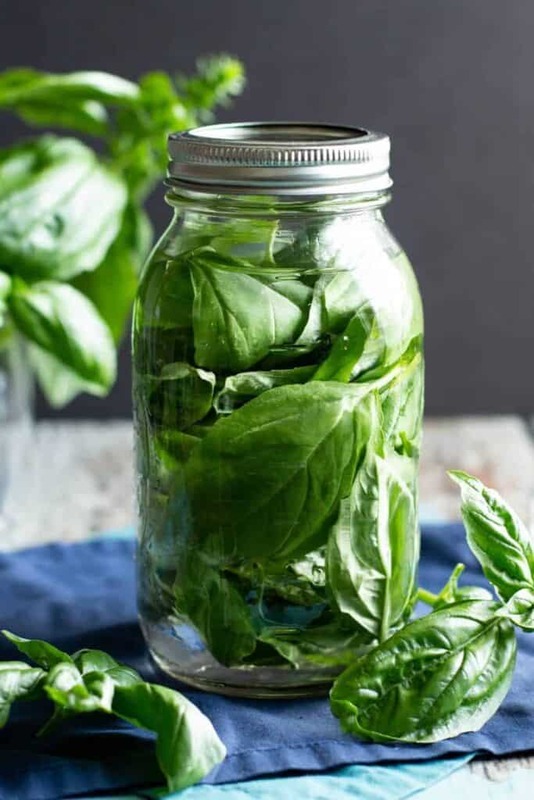 I’ll be experimenting with cocktails that use this Basil Infused Vodka and will have something delicious to share with you soon! Make sure to also check out my Rosemary Infused Vodka! It’s great in mixed drinks, too, and the rosemary flavor makes it seasonally appropriate pretty much year-round. Place the basil leaves in a whatever container you want to use to make the infused vodka (see notes). 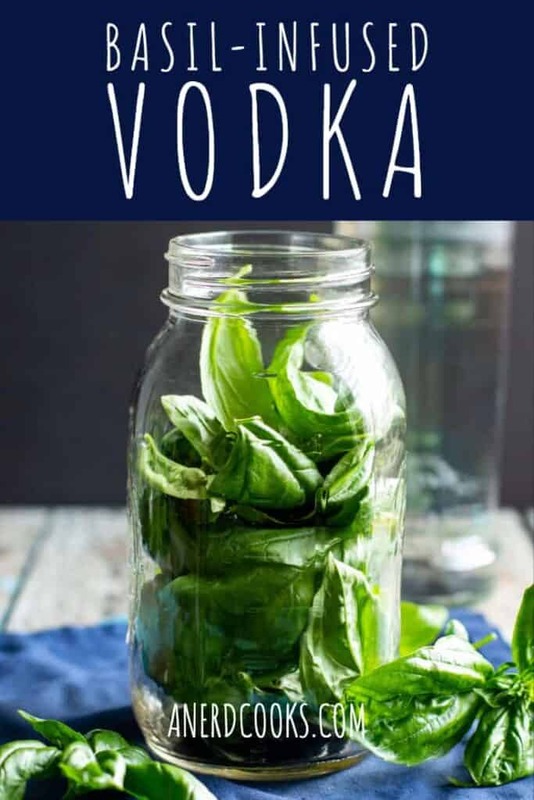 Pour the vodka over the basil until the container is full. Seal the container and place it in a cool, dark location for up to 3 days. Strain the vodka through a sieve, discarding the basil. Pour the infused vodka back into the container in which it was infused (or the container of your choice). OMG this! So much this! So hoping that my basil plants thrive this year! 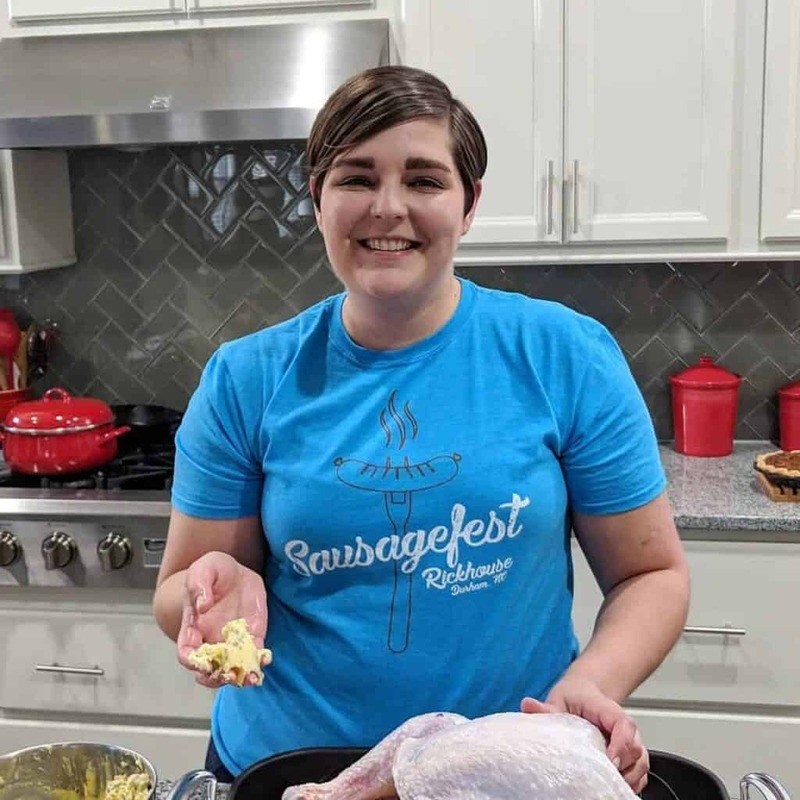 I am literally giddy about this recipe!! Fresh basil is my favourite smell in the whole world. I am going to be making batch of this at the weekend! It’s one of my favorite smells, too!! I even tried to have basil put into my wedding bouquet, but somehow the florist ended up talking me out of it. I hope you make all kinds of delicious cocktails with it!